FC Barcelona and Valencia CF's Matchday 22 game will take place on February 2 at 6:30pm CET, it was announced on Thursday afternoon. The two sides will meet at the Camp Nou in a Saturday evening fixture, having played one another earlier this season at Mestalla. The first game, on Matchday 8, ended 1-1. Garay put Valencia ahead, but Leo Messi equalised on 23 minutes. Valencia are currently eleventh in the LaLiga table with 23 points, whilst Barça top the standings with 43. 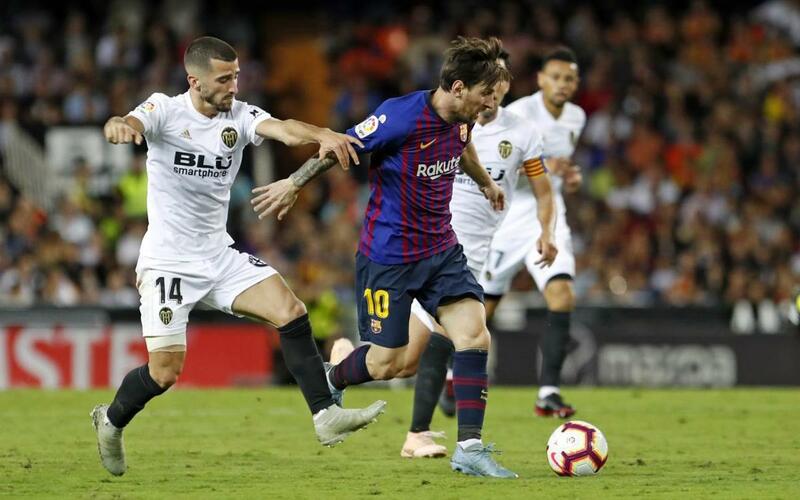 The game will take place at the end of a week of Copa del Rey action, which could feature both sides should the Blaugranas best Valencia's neighbours, Levante.